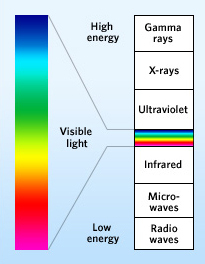 How exposed are you to Ultraviolet radiation? We all enjoy a good measure of sunlight to make us feel good, perhaps it’s a trip to the beach or the local pack with the kids to ensure our vitamin D levels are topped up thanks to exposure from natural sunlight. All the same, we are more familiar, now more than ever of the damaging effects the sun has to our skin as a result of excessive UV radiation with 85% of the British public knowing about the risk of skin melanoma. Regrettably our awareness from exposure of the suns harmful UV rays stops here with a staggering 90% of the British public completely ignorant of the need to protect their eyes as they would their skin. Extended exposure of UV light can also harm your eyes and can be responsible for cataracts, macula degeneration, pinguecula, pterygia and photokeratitis. Sadly children are considered to be at most risk sustaining around 80% of their cumulative UV damage by the age of 18. Children tend to have larger pupils and a clearer crystalline lens resulting in a significant amount of UV light reaching the retina of the eye. UVC 200-280nm is filtered out by the ozone layer surrounding the earth so are not of a major concern to us although the thickness of the ozone layer can vary depending on the latitude and altitude. UVB 280-315nm rays are accountable for sunburn, that being the case UVB also has an effect on the eye, primarily affecting the cornea, eyelids and the conjunctiva. UVB rays not only exist through direct exposure but also through indirect sources such as snow, water and sand by way of reflection. Something like around 90% of UV rays penetrate cloud cover so protection is required even if the sun does not have he’s hat on! UVA 315-380nm rays are possibly the most harmful, causing chronic damage to the eye, especially low dose exposure over a long period of time. The crystalline lens within the eye absorbs these rays and can be linked with the formation of cataract, which will affect 70% of the population by the age of 70. 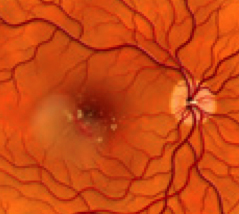 Studies have also shown that macula degeneration has a significant link with UV exposure even though only a small amount of UV actually reaches the retina. Sunglasses can be considered as protection from harmful radiation, although you should check that they provide 100% UV protection. Close fitting or wraparound styles deliver a better shielding restricting the amount of stray light from above and around the periphery of the lenses. Non-wraparound and standard prescription eyewear with UV protection will provide limited protection peripherally, although that said, will be better than completely without. Ultraviolet blocking contact lenses are also available, known as class I or class II lenses, which cover the entire cornea and limbus providing peripheral protection. The damage caused by UV radiation may not be reversible so if sunglasses or glasses are not appropriate or available a brimmed hat will provide some protection. Pingueculae can occur either side of the iris, this is a slightly raised yellowish area on the white part of the eye and tend to be more prominent and yellow with age. There is no pain felt with Pingueculae although some irritation may be felt if wearing contact lenses. The cause of this is a result of long term excessive exposure to UV radiation. 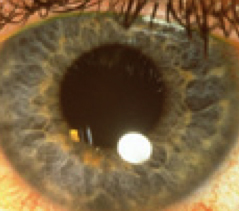 This condition is often without pain but again can cause irritation with contact lens wear. Pterygia is caused by excessive UV exposure and is often found in a higher incidence closer to the equator. 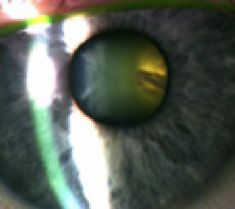 Cataract is the loss of transparency of the crystalline lens due to excessive UV exposure, age, or this may be congenital. 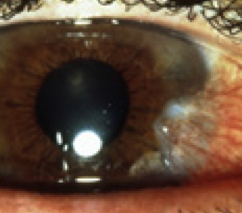 Cataract is the leading cause of blindness in the world and the most routinely preformed surgical procedure. 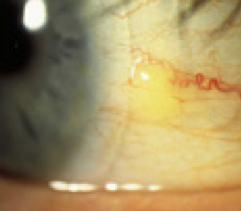 This condition does not cause pain although glare caused by scattering of light will present discomfort in bright sunlight or night-time driving. A reduction in visual acuity will be noticed which will progressively lead to a significant handicap. 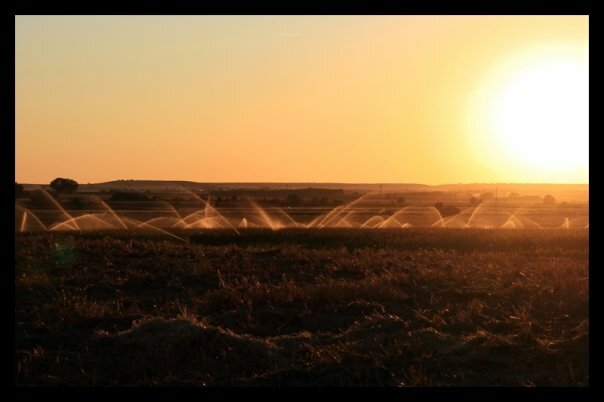 Studies have shown that macula degeneration has a significant link with UV exposure even though only a small amount of UV actually reaches the retina. Overexposure to the suns harmful UV radiation can result in UV keratoconjunctivitis, causing inflammation of the conjunctiva. The eyes may feel hot and gritty with a onset of photophobia (Sensitivity to light). The visual acuity maybe jeopardised owing to dying epithelia cells . Tomorrow’s installment addresses Stress and eye strains; It seems that we use computers just about everywhere these days. Most of us spend a large part of our day squinting at a monitor, be it at work, home, or university. With more and more of our shopping and entertainment being driven by the Internet, the time we spend on the computer is only likely to increase.